Theresa May formally requested a transitional deal with the European Union after Brexit during her speech in Florence in September 2017. However, it was only after EU leaders agreed to move on to the next stage of the negotiations in December, that the path was cleared for talks on the transition to begin in earnest. It’s expected that a legal text covering both separation issues and transition, plus a political declaration on the outline for a future EU-UK relationship, should be finalised by October 2018. On January 29, the EU published its negotiating directives for the transition. There is much the UK and EU already agree on, but there are also some important political differences – and tricky legal issues. The two sides agree that the transition period will start after the UK has withdrawn from the EU. The UK has not requested a direct extension of its EU membership – something which is explicitly provided for under Article 50 of the Treaty on European Union, the mechanism which governs how a member leaves the EU. The date of withdrawal remains as planned: on March 29 2019, the UK will become what’s called a “third country” in relation to the EU. They also agree that this will not be an “implementation period” for a new deal on future relations between the UK and the EU. There can be no phased introduction of a “deep and special partnership” which has not been negotiated yet. The fact that the government doggedly refers to the transition as an “implementation period” is simply an attempt to disguise its own fundamental failures in handling the Article 50 process so far. The UK and EU also agree that transition should – as far as possible – be based on preserving the status quo so as to give public bodies more time to prepare for withdrawal. For example, port authorities will need time to prepare for the expansion of customs controls. But this greatly understates the scale of the problem. The task the UK government has brought upon itself is mind-boggling. If not done properly, it risks causing serious and wide-scale regulatory and administrative malfunction. Private companies also need time to prepare. All across Europe, supply chains need to be adjusted, recruitment and training rethought, new legal structures adopted, and fresh supervisory requirements fulfilled. Despite the agreement on these basic principles, negotiating the details of transition may prove more tricky. The UK wants the transition to last “around two years”. The EU thinks transition should expire by December 31, 2020. Either would be a lot shorter than many businesses would like. But so far, there seems little support for an explicit facility to extend the transition should it prove insufficient. A potentially critical issue is free movement of people. The EU position is robust: not only must free movement continue in full during the transition, but new arrivals must also be entitled to have their rights protected into the future in accordance with the Article 50 agreement. The UK government’s precise position on this issue remains unclear. However, on February 1, Theresa May indicated that, even if the UK accepts temporary free movement during the transition, new EU arrivals to the UK should not have the same rights as those already in the country before March 29, 2019. The EU insists that the UK must be obliged to follow any new changes in EU law during transition. There is scant interest in the British desire for a mechanism to allow it to screen or filter new EU law to avoid it becoming what some have called a “vassal state”. The UK would no longer participate in, nominate or elect members of the institutions of the EU. It would be offered only operational, not decision-making, participation in the EU’s various committees and agencies in areas such as medicines, chemicals or police cooperation. The basic price of transition is plain: the UK must transform itself voluntarily from a leading rule-maker into passive rule-taker. The UK’s Brexit secretary, David Davis, has pushed back – demanding ways to ensure that the British voice is still heard – but has offered no concrete proposals. The UK has demanded the ability to begin formal trade negotiations with other countries during the transition, provided the entry into force of any new deals is delayed until it ends. The Council of the EU, representing the governments of the EU27, is even prepared for certain deals to commence during transition – but subject to the condition that the EU authorises this itself. Within the relevant fields, transition will be based on EU rules, but the Council of the EU also insists that EU law should continue to produce the same legal effects within the UK as it does across the EU itself during transition. That means continuing to respect principles such as direct effect and supremacy, which make EU rules a valid source of law in the UK and give EU rules priority over conflicting national legislation. That would force the government to put on ice some of its key plans under the EU (Withdrawal) Bill: to limit directly effective EU rules and curtail their supremacy over new UK legislation. 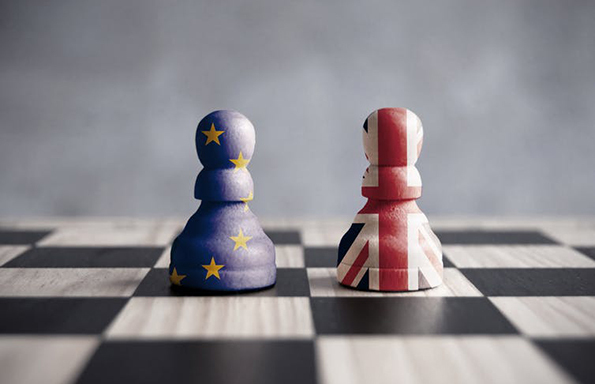 In line with the EU’s proposals, the UK accepts that it would remain subject to the continued enforcement powers of the European Commission and the full jurisdiction of the European Court of Justice (ECJ) during the transition. But the government wants the ECJ to be replaced as soon as possible with some – as yet undefined – alternative. So far, the EU has shown not the slightest inclination to accommodate such political shenanigans. The European Court of Justice in Luxembourg. Transition is not just about politics. The EU27 have said that any deal must also be “legally possible”, but there are some tricky legal issues to deal with. For example, Article 50 adopts the fundamental premise that the EU treaties will cease to apply to the UK at the moment of its withdrawal, when it formally becomes a third country. However, the plan is for an ambitious transitional agreement based on the wholesale extension of EU law to the UK as if it were still a member state. There are good practical reasons for that – given how much is still left to be done, and how little time remains to do it – but it does feel difficult to square with the explicit text of the EU treaties. The negotiation of an ambitious transition agreement may prove more difficult and more controversial, and take longer, than many British politicians appear to assume. Definitive answers to the most difficult legal questions can only be provided by the ECJ – yet that may just slow matters down even further. Either way, some of the main benefits to agreeing a quick transitional regime – especially reassuring investors and persuading businesses not to implement their contingency plans – may prove more difficult to deliver in practice than they appear in theory.